Home > Share Market - Alerts > SEBI to Cull 4,200 illiquid Shares - U K Sinha’s seven-point agenda..! SEBI to Cull 4,200 illiquid Shares - U K Sinha’s seven-point agenda..! SEBI to Cull 4,200 illiquid Shares..! 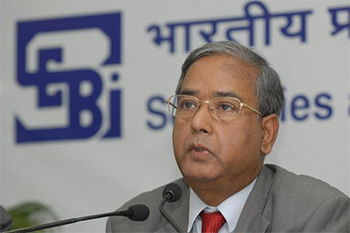 In a bid to rid the stock market of misuse and manipulative practices, Securities and Exchange Board of India (SEBI) Chairman Mr. UK Sinha on May 25, 2015 outlined 7 key focus areas, including forcing about 4,200 companies to delist from stock exchanges. U K Sinha’s seven-point agenda..! Strong action against auditors who fail to detect lapses in the financial accounts of listed firms and higher penalties for dubious transactions by algo trading firms are some of the other highlights of Sinha’s seven-point agenda for the next one year. Speaking to select media, Mr. Sinha said that the move to delist about 4,200 companies was aimed at improving investor confidence. There are 1,200 companies on the national exchanges that have not seen any trading for over 7 years. These will be the first to be de-listed. Then there are 3,000 companies on the regional stock exchanges, which are now defunct. An exit option will be provided by setting a fair value for the shares. This fair value will be determined by a 3rd-party valuer. “These entities are a nuisance and action will be taken against promoters who do not comply. If these companies were serious why would they let their shares stay suspended for over seven years? We want to clear up the system,” Mr. Sinha said. The exercise to delist the 4,200-plus firms is to be completed this year (2016). The move will unlock value for investors, whose money is stuck in companies where no trading takes place. Mr. Sinha also warned of strong action against auditors who look the other way when it comes to detecting flaws in the financial accounts of listed firms. “So far, we have had a hands-off approach on auditors, but now we plan to have an oversight on these gatekeepers. Auditors can not go scot-free if they have been certifying the books for years without pointing a finger at the lapses,” Mr. Sinha said. On the issue of high-frequency trades (HFT) or / algo trades, SEBI will finalise the regulations before the end of the year (2016).